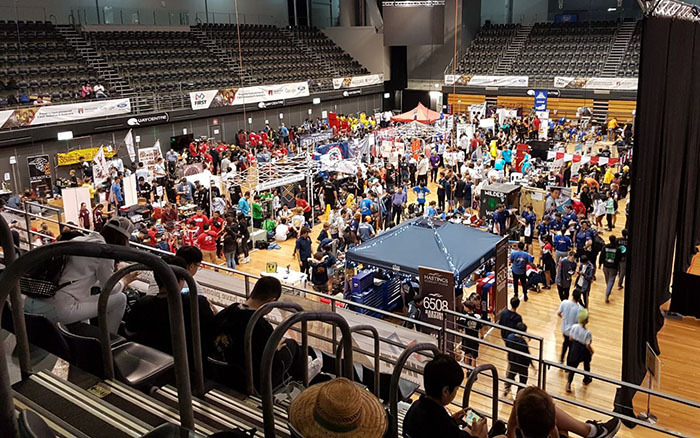 It was a fantastic and intense weekend at Sydney Olympic Park for the South Pacific Regional Robotics Competition. The Supernova Star Squad took Andromeda, the robot they had designed and built to compete against 87 other teams from around Australia and from all over the World. The team looked very spiffy in their team shirts (design by Hannah Meier) and acted with ‘Gracious Professionalism’ (‘clap’-whooooo) towards every opponent and alliance team. Our Drive Team demonstrated impressive skill and diplomacy. Our Mechanical and Electrical Teams were all over repairs and modifications. 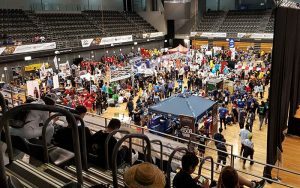 Our Scouting Team kept tabs on the other robots; feeding back important information to the Drive Team. Our Safety Officers kept us safe. Last but definitely not least, our Promo team collected the most badges and impressed the judges with our QR Coded badges making it possible for people to be taken straight to our beautiful website designed by our Media Team. 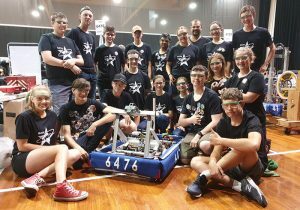 Check us out at http://supernova-star-squad.weebly.com/ and keep an eye out for the new and improved Andromeda for the Duel Down Under held in July this year. A big thank you to Carl Holmesby for mentoring the team and our bus driver Mr Nott! 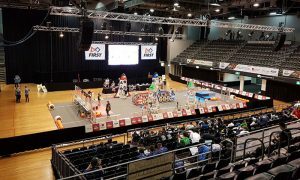 Robotics Team is competing in Sydney! These planners provide details of the topics that each Year group will be studying, the time for each topic and the assessment task.